In the middle of the 1999 season, the Seattle Mariners made the move from the cavernous and outdated Kingdome to state-of-the-art Safeco Field. Before the 2001 season, the Seattle Mariners signed Ichiro Suzuki from the Orix Blue Wave of the Japanese Pacific League. The money was big at the time ($14M) since no Japanese non-pitcher had ever made a mark the US. Ichiro of course was a sensation in Seattle, bringing the Pac Rim to the ballpark in their #51 jerseys every night. So Safeco Field marketers weren't dumb. 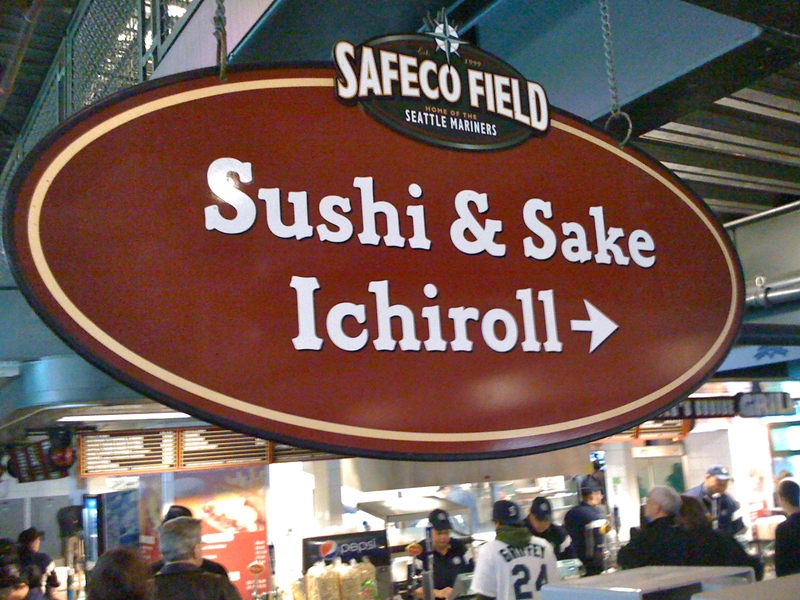 The sushi/sake stand was very popular, which included the "Ichiroll," which wasn't anything exotic - a spicy tuna roll - but still far from the standard ballpark fare. 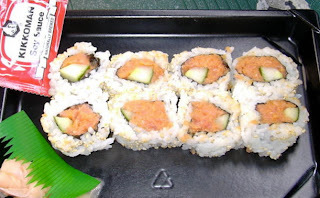 The first time I had sushi at a Major League venue was October 3, 1995 in the press box pre-game at Dodger Stadium, at the height of the Hideo Nomo frenzy. It was also the day O.J. Simpson was found "not guilty" on murder charges. Yes, I was in LA. Dodgers-Reds NL Divisional Playoff Game 1. But I digress as usual. Like working with Don Criqui, Memory Lane isn't always a straight path. Anyway I wonder if Suzuki, even in his heyday ever had a 3-game series like this one with Toronto. Two more hits last night, a solo HR, and 3 RBI makes him 9-for-12 in the series sweep and brings him up to .321 as a Yankee - only one point off his career average. Suzuki is 38, and his skills this year seemed to be diminishing. But streaks like this prove that he's far from done, and his career resume may still have a few lines that are yet to be written. The Yankees won ugly last night, but Nick Swisher hit a grand slam and Phil Hughes though largely unimpressive, won his 16th. Now the Yankees have won 5 straight, are 1 full game up in the AL East with 13 to go, and trade the Jays in for the smoking-hot A's for a weekend set at the Stadium.